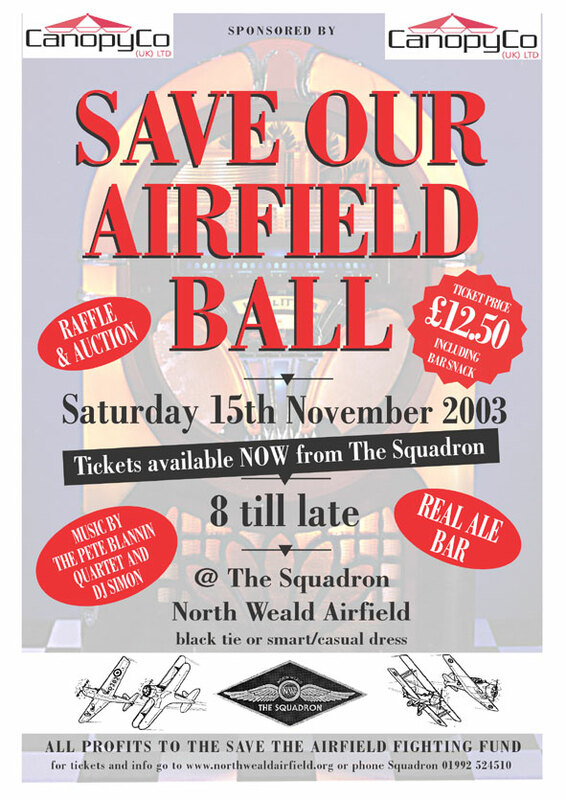 See how you can help us campaign against the closure of North Weald to make way for housing. 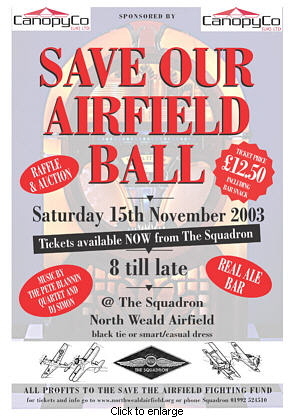 The North Weald Firkin Flyers have agreed to donate the profits of their annual dance to the North Weald Airfield campaign. The event is co-sponsored by CanopyCo (UK) Ltd., who will be providing a marquee and The Design House who are providing posters and tickets. © Copyright 2003 N.W.A.U.G All rights reserved.